– Complete the GAA Child Protection Course (Update every 3 years). – Complete relevant coaching course. Note: Above conditions must be met PRIOR to commencement of coaching. 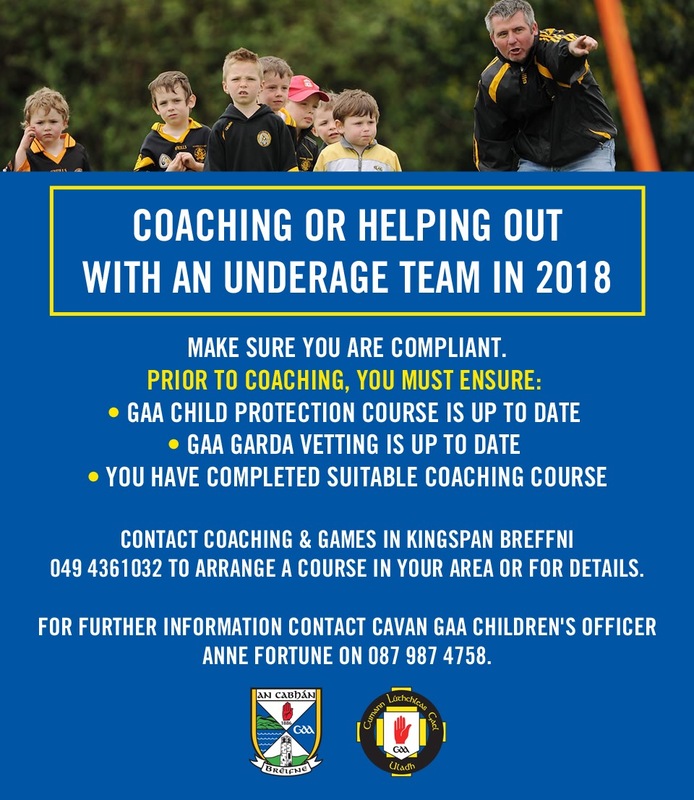 Please contact Coaching & Games in Kingspan Breffni to arrange a course in your area or for details of upcoming courses. Further information from Cavan GAA Children’s Officer Anne Fortune (087) 987 4758.